Amazon has announced that its child-friendly features and parental controls subscription service is coming to Alexa. Until now FreeTime has only been available on Fire, Kindle, and Android devices, but Amazon is now adding support for Echo speakers. At the same time, the company is also releasing a Kids Edition of the Echo Dot that includes a FreeTime subscription plus a brightly colored protective case. Just as with other supported devices, the free tier of FreeTime includes a range of parental controls for Alexa. These include explicit song filtering, bedtime limits, and disabling of voice purchases. You also can upgrade to FreeTime Unlimited which offers additional content including 300 Audible kids' books, radio stations, playlists, and character alarms. Special Alexa skills are also part of the deal, coming from Disney, Nickelodeon, National Geographic, and more. Existing FreeTime Unlimited customers get all of these new features at no extra cost. Amazon Prime subscribers can get all of the benefits added to their account for just $2.99 per month for a single child or $6.99 for the family plan (up to four children). Non-members will need to pay $4.99 or $9.99, respectively. FreeTime on Alexa will be rolled out with a software update starting May 9th. To coincide with FreeTime's availability on Alexa, Amazon has also announced the $79.99 Echo Dot Kids Edition. In much the same vein as the Fire Kids Edition tablets, the speaker is practically unchanged except for the eye-catching protective layer — it comes in blue, red, or green. The extra $30 also bags you a year-long FreeTime Unlimited Family subscription that normally costs either $83 (Prime members) or $119 (non-members). That hefty price tag is well worth it then, if you were already considering the other benefits. 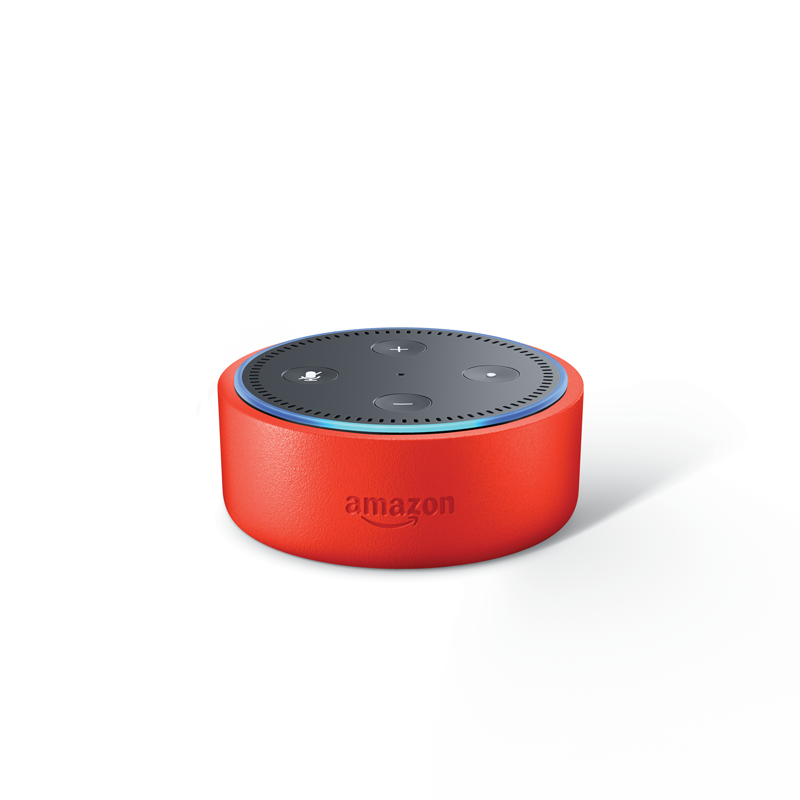 The Echo Dot Kids Edition is available to pre-order right away, and it will begin shipping May 9th — at the same time as FreeTime Unlimited on Alexa is made available. SEATTLE—[April 25, 2018]—(NASDAQ: AMZN)— Amazon today announced all-new Alexa experiences for kids and parents: Amazon FreeTime on Alexa, Amazon FreeTime Unlimited on Alexa, and Echo Dot Kids Edition. These new offerings bring Alexa-specific features and content to Amazon’s popular FreeTime and FreeTime Unlimited services. Over the last five years, over 10 million kids and their parents have enjoyed Amazon FreeTime, and Fire Kids Edition tablets are the #1 best-selling kids tablet in the US. 1) Amazon FreeTime on Alexa brings parental controls and family-focused features to Echo, Echo Dot, or Echo Plus—all at no cost. Simply add FreeTime to an existing or new Echo device to get started. 2) Amazon FreeTime Unlimited on Alexa, Amazon’s content subscription service for parents and kids, brings a wide selection of Alexa-specific content such as kid-friendly premium skills, Audible books, and more—all at no additional cost for existing FreeTime Unlimited members, or starting at $2.99 per month for Prime members. 3) Echo Dot Kids Edition is the easiest way to get started. 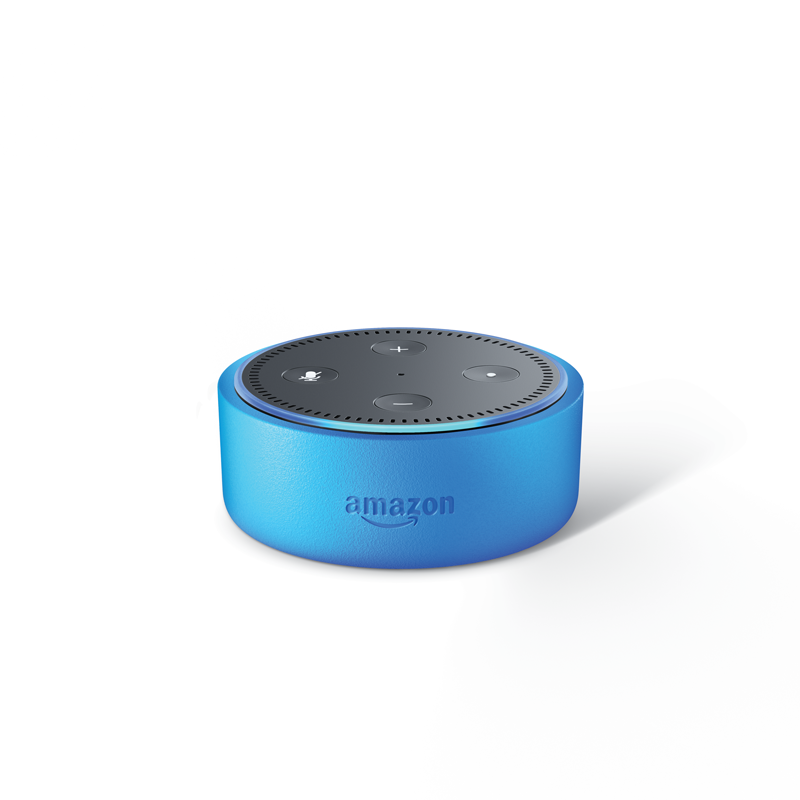 It combines an Echo Dot, FreeTime features and parental controls, 1 year of FreeTime Unlimited, a kid-friendly case, and a 2-year worry-free guarantee—$79.99 and available for pre-order today. · Time Limits – Set bedtime time limits to protect against kids talking with Alexa late into the night, or simply pause Echo devices for dinner or homework time. · Parental Controls – Use the Parent Dashboard and Alexa app to choose which services and skills kids can use, turn off voice purchasing, and more. · Block Explicit Songs – Both in the Alexa experience and FreeTime on Alexa experience, parents with Amazon Music now have the ability to filter playback of songs with explicit lyrics, and we’ll continue to add compatible music services to this feature over time. · Activity Review – Parent Dashboard allows parents to see their kid’s FreeTime on Alexa activity, plus review their voice recordings in the Alexa app. · Magic Word – The new Magic Word feature offers positive reinforcement when kids use the word “please” while asking questions of Alexa. · Educational Q&A — Kids can ask Alexa questions about science, math, spelling, definitions, or any other topic that piques their curiosity. Since Alexa is built in the cloud and always getting smarter, she’ll continue to learn new information every day. · Alexa Speaks “Kid” – Alexa has age-appropriate suggestions at the ready, all kids have to say is, “Alexa, I’m bored.” Kids can also ask for knock-knock jokes, ask Alexa for a song, and more. The more they use Alexa, the smarter she will get. · Household Communications – Gone are the days of shouting up the stairs for the kids to come down to dinner. FreeTime on Alexa allows for household announcements, calling, messaging, and Drop In within the home. Amazon FreeTime on Alexa will roll out to existing Echo, Echo Dot, and Echo Plus owners via a free, over-the-air software update starting May 9. Learn more about FreeTime: www.amazon.com/freetime. · Over 300 Audible Books – Kids will enjoy hours of entertaining and educational Audible books performed by some of their favorite characters and authors such as Peter Pan, Rip Van Winkle and more. · Ad-Free, Kid-Friendly Stations & Playlists from iHeartRadio Family – From Kids Hits to Radio Disney, kids will love the thousands of songs from playlists and custom stations available. · Premium Alexa Kid Skills from Top Brands – With all-new Alexa skills like Disney’s Disney Stories, Nickelodeon’s No Way That’s True, and National Geographic’s This or That, kids can explore Alexa skills developed by the best in kids’ entertainment and education. · Wake Up to Favorite Characters – Kids can start the day with alarms featuring their favorite characters from Disney, Nickelodeon, and more. · One Subscription, Unlimited Possibilities – With a FreeTime Unlimited on Alexa subscription kids can also access thousands of games, apps, videos, books, and more on Fire tablets, including Fire Kids Edition tablets, Android tablets, and Android phones. FreeTime Unlimited on Alexa will roll out to existing Echo, Echo Dot, and Echo Plus owners via a free, over-the-air software update starting May 9. Customers who already subscribe to FreeTime Unlimited for their kids can get the subscription content, features, and parental controls at no additional cost. Those who are new to FreeTime Unlimited can sign up for as low as $2.99 per month. Learn more and subscribe: www.amazon.com/freetimeunlimited. Echo Dot Kids Edition is the simplest way to get started with the Alexa kids experience. It comes with all the FreeTime parental controls features, one year of FreeTime Unlimited family plan, a kid-friendly case, and a 2-year worry-free guarantee. Echo Dot Kids Edition will begin shipping on May 9. Pre-order Echo Dot Kids Edition starting today at www.amazon.com/echo-dot-kids-edition.